A series of nine formulas that support people with a gluten sensitivity. These formulas are designed to support immune system health and improve metabolism regulation. 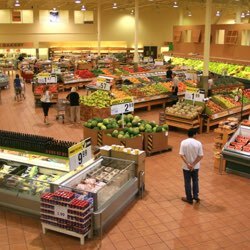 The program includes an informative guide about living a gluten-free lifestyle in order to minimize the negative effects of gluten exposure. The program's formulas complement a gluten-free diet to reduce inflammation and promote a healthy, balanced immune system. 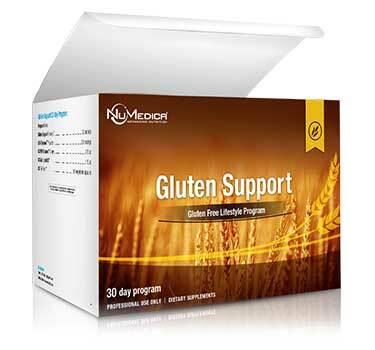 NuMedica Gluten Support Packets supports a gluten-free lifestyle by enhancing immune system health and reducing chronic inflammation in the body. Gluten Support GI Restore Powder supports immune system health, digestive health, and accelerates the healing of body tissue. NuMedica Gluten Support PRP Balance Spray 5 oz contains colostrum derived Proline-Rich Polypeptides that support immune system function and cognitive function. NuMedica GS Micellized D3 1200 IU supports bone health and immune system function while promoting nutrient absorption. NuMedica Gluten Support Tri-Flora contains powerful probiotics that enhance gut health by supporting the gastrointestinal tract and boosting immune system health. Many people are sensitive to gluten even though they do not test positive for a wheat allergy or celiac disease. 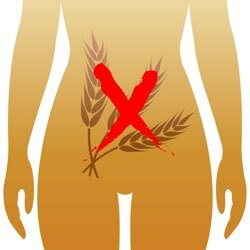 Even so, gluten sensitivity can result in abdominal pain, constipation, diarrhea, headaches, bloating, and even depression. Some people experience fatigue or joint pain. 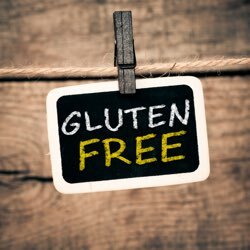 There is not a cure for gluten sensitivity; therefore, reducing or eliminating exposure to gluten is the key to eliminating these symptoms. NuMedica Gluten Support Program 30 Day is designed to repair damaged tissue and reduce the inflammation that gluten exposure causes. 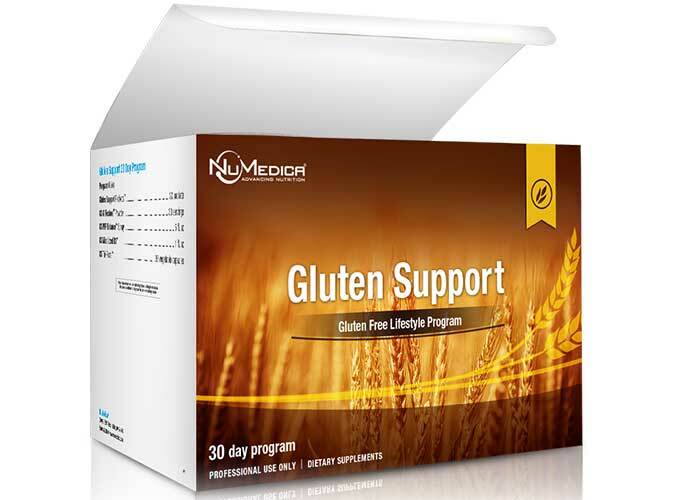 NuMedica Gluten Support Program is designed to revitalize overall health for individuals with gluten sensitivities. By reducing chronic inflammation, boosting the immune system, and repairing damaged tissue, NuMedica Gluten Sensitivity Program 30 Day helps get the body back on track after suffering gluten exposure. By following a gluten-free diet and completing a course of this gluten sensitivity program, you can get your digestion system and overall health back on track. 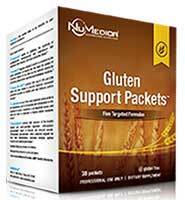 Gluten Support Packets 1 Packet 30 One packet daily or as directed by your health practitioner. Gluten Support PRP Balance Spray - 5 oz 4 Sprays 56 Spray four times directly into the mouth and hold for up to 30 seconds before swallowing. Take twice daily, early in the morning and before bedtime, or as directed by your healthcare practitioner. Gluten Support Micellized D3 1200 - 1 fl. Oz. 1 Drop Adults take one drop daily mixed in 1-2 oz. 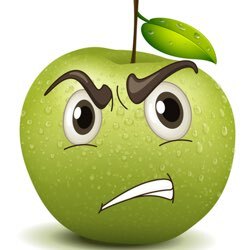 water or juice or as directed by your healthcare practitioner. Caution: Keep out of reach of children. Not recommended for children. Gluten Support Tri-Flora 1 Capsule 60 Take one capsule before or during each meal or as directed by your healthcare practitioner.